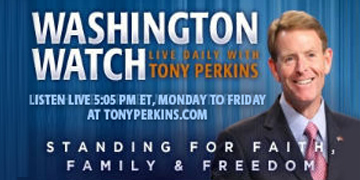 It’s Friday, April 19, 2019, and we’re getting ready for another exciting edition of Washington Watch with Tony Perkins, where each day we’re joined by America’s leaders, policy makers, and culture-shapers as we talk about the important issues of the day from a biblical worldview. Listen here live at 5:05 p.m. ET. Chris Mitchell, Middle East Bureau Chief for CBN News, on the growth of Christianity in a Syrian town once besieged by ISIS. Dr. Ronnie Floyd, newly-elected President and CEO of the SBC Executive Committee, to preview the upcoming National Day of Prayer on May 2. Ryan Mauro, Producer of SinaiInArabia.com and Director of the Clarion Project, on his new documentary on evidence for the historicity of Exodus that points to a possible location for Mount Sinai in Saudi Arabia. Watch the documentary on Mount Sinai to see the evidence for the Exodus! Sam Brownback, U.S. Ambassador-at-Large for International Religious Freedom, on China tracking Uyghur Muslims across the country with artificial intelligence and facial recognition cameras. Ted Cruz, U.S. Senator from Texas, on Yale’s blacklisting of Christian groups and big tech’s censorship of conservatives. David Closson, Family Research Council’s Research Fellow for Religious Freedom and Biblical Worldview, on Kamala Harris’ bill opposing cruelty to animals, while she refuses to sign on to the Born-Alive Abortion Survivors Act. And Tony will share reflections on the devasting fire at the Notre Dame cathedral and his hope that the world is drawn beyond the symbolism to the substance of the cross.